Our core principle is that everything on Turbulenz should be a fun, simple and connected experience. We’re curating a new generation of games from small unique independent developers through to blockbuster studios, so you know that whenever you go to Turbulenz there will always be something awesome and fun to play from developers you love. If you’re a nerd you can read all about it in our white paper! 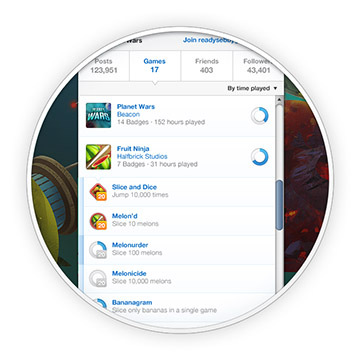 We’ve hidden all the jargon and keep you updated about any friends that are available for a quick multiplayer game. No lobbies, no servers, no lists. 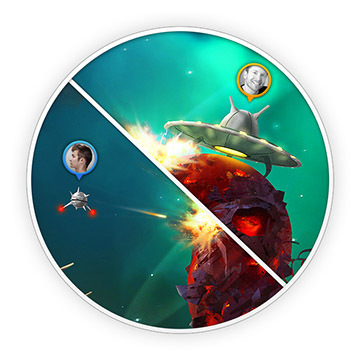 Playing real-time multiplayer games on Turbulenz is as simple as clicking ‘Join’ and jumping straight into games with available friends. 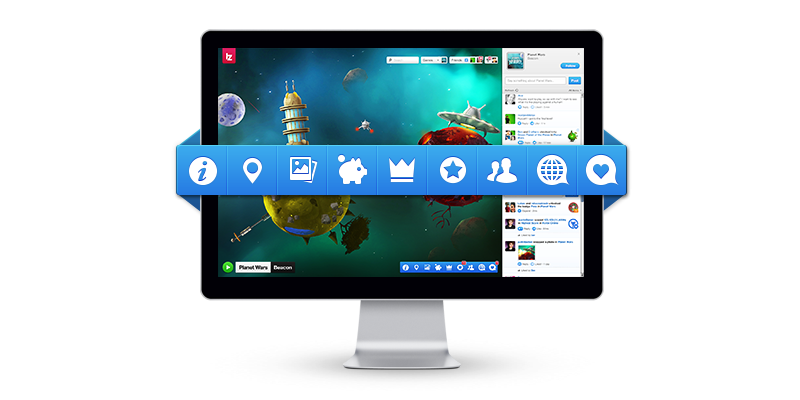 Your friends don’t have to be logged in to Turbulenz to know that you want to play with them. You can simply copy a short URL, paste it to your friends via Facebook, Twitter, or Email, and have them instantly join your game by clicking on the URL. Alternatively just click on your friends profile whilst playing and hit the invite button, Turbulenz will do the rest sending out a notification on your preferred network. No heart-stopping moment or proud achievement is ever lost on Turbulenz. Share your stories, secrets, in-game photos and badges with your friends in Turbulenz’ Social Feed. 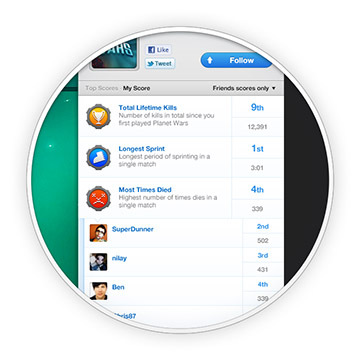 Join passionate communities of players around each game and leave personal messages on your friends’ feeds. 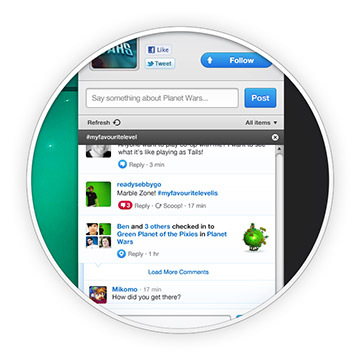 When somebody replies to any of your posts in a feed you’ll receive an email or notification in the Turbulenz mobile app. Even if you’re not able to play, you’re always up to date. When you sign back into Turbulenz we let you know about all of the interesting things that happened while you were away including new followers, replies to your comments and new high scores. 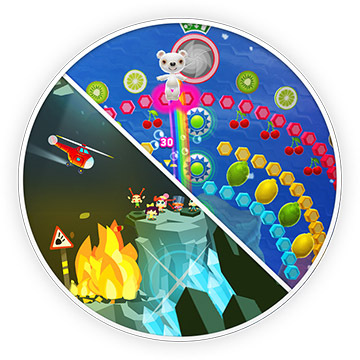 Each game on Turbulenz has a growing number of challenges that can be beaten to unlock badges and points. Earning lots of badges will get you early access privileges to new games and allow you to buy exclusive items in other games. Badges aren’t just fun, they are also rewarding. For those times when you’re really pushing yourself to unlock a specific badge, Turbulenz shows a handy notifier that updates in real-time to tell you how far you are from completion. Turbulenz is full of little touches that make gaming and sharing simple to accomplish. Turbulenz leaderboards aren’t just smart — they’re alive! All leaderboards update in real-time and when you beat a friend’s score they’ll get an instant notification via email or the mobile companion app to tell them they need to step up their game! Warning: Smart leaderboards can cause unstoppable loops of competition and the complete breakdown of friendships in extreme cases. If you’re feeling competitive, having to keep track of all your scores can be a drag. On Turbulenz all scores are listed in a unique overhead view that lets you know which scores your friends have beaten, and which ones are still safe. Wouldn’t it be nice if everything was free? Of course! Everything on Turbulenz is free. It’s only when you decide you really want to buy ‘that item’ or unlock ‘that level’ that you will spend money on Turbulenz. Our payment system is frictionless and secure, enabling you to play with your latest purchase instantaneously. 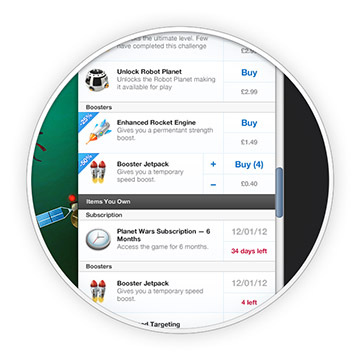 Games on Turbulenz allow you to shop in-game or via the slick side-panel (for when you really need a boost mid-game!). When you need to settle the bill, Turbulenz will use your existing Amazon account to process the transaction. No messing about with cards, numbers or banking acronyms. Turbulenz is an ever-growing ecosystem and we add new features and games every month. Here’s a teaser of what’s to come. Our core principle is awesome games, so we’ll always be adding more of those. To learn about our latest partners and projects, keep an eye out for our news updates or follow us on Twitter and Facebook. It will be well worth your time. Turbulenz is an internet generation games platform. 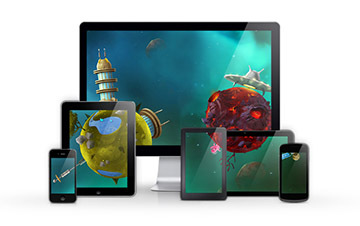 This means that our games can be played and enjoyed on any device that is browser enabled! While we are confident that turbulenz.com will always be the best place to play our games, we expect to see them appearing on other sites such as the Google Chrome Store or Facebook as well. The more people we reach the better of a job we have done!